CAIR issued a news release Wednesday announcing its efforts to pressure the United States Air Force Special Operations School (USAFSOS) into dropping Patrick Dunleavy as an instructor in "The Dynamics of International Terrorism" course. Dunleavy, who served as deputy inspector general for New York State's Department of Corrections, focuses on prison radicalization. It's a topic he learned about first hand, including work on "Operation Hades," an investigation into radical Islamist recruitment both in and out of prison. CAIR's release, however, ignored Dunleavy's long record of accomplishment which includes serving as a consultant for the FBI and the International Association of Chiefs of Police on the National Data Exchange Program. He also has been a featured speaker at the United States Army's Counter Terrorism Conference. 1) "To Americans [morality] means individual liberty, equal rights for men and women, religious freedom, free speech, etc. But these are contrary to the moral code of Islam." 2) "The concept of 'friendship,' . . .is a relationship based on at least some degree of shared moral and political ideals. By that standard no Muslim nation is a friend of the U.S." and 3) "To many Muslim parents, visions of violence and death are indeed the 'better future.'" All three come from a 2011 article Dunleavy co-authored with Peter Gadiel, whose son James was killed in the World Trade Center on 9/11. As we'll show, none of these statements is Islamophobic, as each is rooted in Quranic verses or is exhibited by disturbing numbers of Muslims throughout the world. CAIR's credibility should be considered first. This is an organization deemed persona non grata by the FBI in 2008, based upon evidence agents uncovered which prove that CAIR was created as part of a Muslim Brotherhood-run Hamas support network in the United States. In addition to internal documents which place CAIR under the umbrella of the Muslim Brotherhood's "Palestine Committee," CAIR co-founder Nihad Awad – the only executive director in the organization's 23 year existence – is on the Palestine Committee's telephone list. He also participated in a secret 1993 gathering of Hamas supporters in America who debated ways to "derail" the fledgling, U.S.-brokered Oslo Accords that at the time offered hope for a peaceful settlement to the Israeli-Palestinian conflict. Palestine Committee members could not accept a deal that recognized Israel's right to exist and felt politically threatened by the elevation of the secular Palestine Liberation Organization to run a newly autonomous Palestinian Authority. Participants were encouraged not to mention Hamas by name. Rather, they were instructed to flip the spelling of the name, and talk about "Samah." As this FBI translation shows, Awad dutifully followed these instructions. In addition, CAIR not only defends people caught supporting terrorists, it often lauds them. Among many examples, it defended Palestinian Islamic Jihad board member Sami Al-Arian for years even after his conviction for supporting the terrorist group, and in 2014, chose to honor his family with a "Promoting Justice Award." Officials already have reviewed all of Dunleavy's USAFSOS presentations and told him that they found nothing offensive, and there have been no complaints from the students who attended courses for the past five years. It's worth noting that CAIR relies on one five-year-old article as the basis for its complaint. Potomac Books published Dunleavy's The Fertile Soil of Jihad in 2011 and he is frequently published by the IPT and elsewhere. The absence of any truly bigoted statements is telling. So is CAIR's hypocrisy. 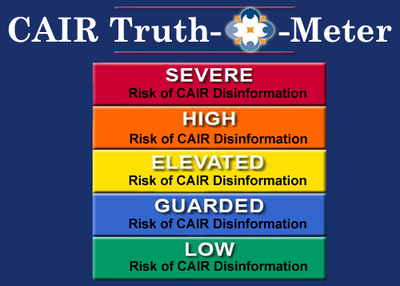 Its website features a page devoted to debunking what it calls "Misinformation and Conspiracy Theories About CAIR." (See the IPT's analysis of CAIR's false claims here.) On that "misinformation" page, CAIR whines twice about "guilt by association," including a response to the number of CAIR officials who were implicated in terrorism-related cases. Yet, the only other reason CAIR cites to disqualify him from the Air Force training is the fact that he's an IPT senior fellow and CAIR does not like the IPT. It's easy to understand why. We've done more to expose its history and highlight the radical views of its top officials and its opposition to law enforcement counter-terrorism efforts than anyone else. But, again, Dunleavy has written more than two dozen articles for the IPT. CAIR cited none in arguing he "does not fit the U.S. military's standards for a subject-matter expert" working with the dreadfully "Islamophobic" IPT. The example CAIR does cite, as mentioned above, utterly fails to make CAIR's case. First is the statement, "To Americans [morality] means individual liberty, equal rights for men and women, religious freedom, free speech, etc. But these are contrary to the moral code of Islam." 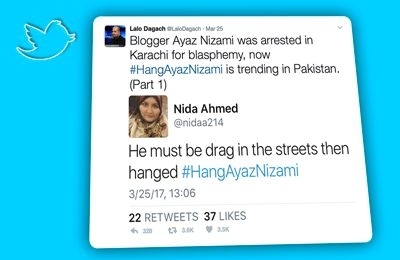 Polling indicates a shocking number of Muslims agree that death is the appropriate punishment for apostasy. In 2013, the Pew Research Center found 88 percent support among Egypt's Muslims and among 62 percent of Pakistanis. Majority support also exists in Malaysia, Jordan and inside the Palestinian territories. More than a third of young British Muslims agreed. Meanwhile, most American mosques still segregate men and women during prayer, often sending the women into sparse and cramped back areas and side rooms. American clerics like Yasir Qadhi advocate a Saudi Arabian lifestyle for American Muslim women. Stay home and tend to your husbands, he preached. They "should not work, because their role is as wives and mothers." "You please your husband," Qadhi said. "And in return your husband will give you the far more difficult things to do of earning money and doing this and that." This is a Muslim American cleric prominent enough to warrant an 8,500 word New York Times profile, preaching his view of Islam's moral code in the 21st century. The second Dunleavy statement CAIR singles out: "The concept of 'friendship,' . . .is a relationship based on at least some degree of shared moral and political ideals. By that standard no Muslim nation is a friend of the U.S."
In the Quran, verse 5:51 instructs Muslims not to "take the Jews and the Christians as allies. They are [in fact] allies of one another. And whoever is an ally to them among you - then indeed, he is [one] of them. Indeed, Allah guides not the wrongdoing people. Verse 9:30 calls on Allah to "destroy" Jews and Christians. Finally, CAIR takes issue with his 2011 statement that, "To many Muslim parents, visions of violence and death are indeed the 'better future.'" This is certainly true among a disturbing number of Palestinians. Parents of Palestinians killed attempting to carry out terrorist attacks against Israelis speak of their pride. It is routine for deadly attacks to be celebrated with people handing out sweets on Palestinian streets. Hamas media for years has indoctrinated children into jihad, using everything from training camps to plays and video productions showing young children pretending to be in combat. Hamas television even "martyred" a Mickey Mouse rip-off, and then sent a puppet bumblebee "to continue the path of Islam, of heroism, of martyrdom and of the mujahideen." But the organization does find time to smear a veteran law enforcement official and expert on radicalization because it does not agree with his message. It does not appear that the tactic will work in Dunleavy's case. But it's time for law enforcement officials, the military and the media to follow the FBI's lead and recognize CAIR for what it is and simply dismiss such baseless attacks out of hand.